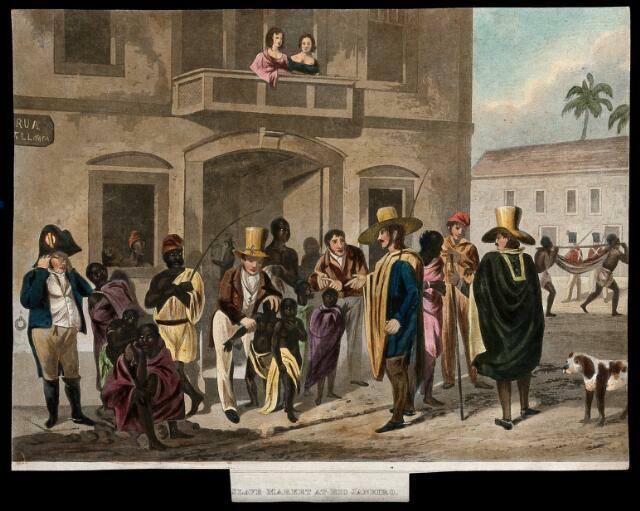 European men examining slaves at the slave market of Rio de Janeiro. Slave market at Rio Janeiro. Drawn by Augs. Earle. Engraved by Edwd. Finden.